Disclosure: I was provided with some items to help bring the holiday spirit into our home from Oriental Trading. All opinions are honest and on my own. If the weeks leading up to finals week in a high school had a theme it would be anxiety and cramming. This my friends has been my life the last 10 days and so I am a bit late on posting my beautiful Oriental Trading Christmas Table Makeover! 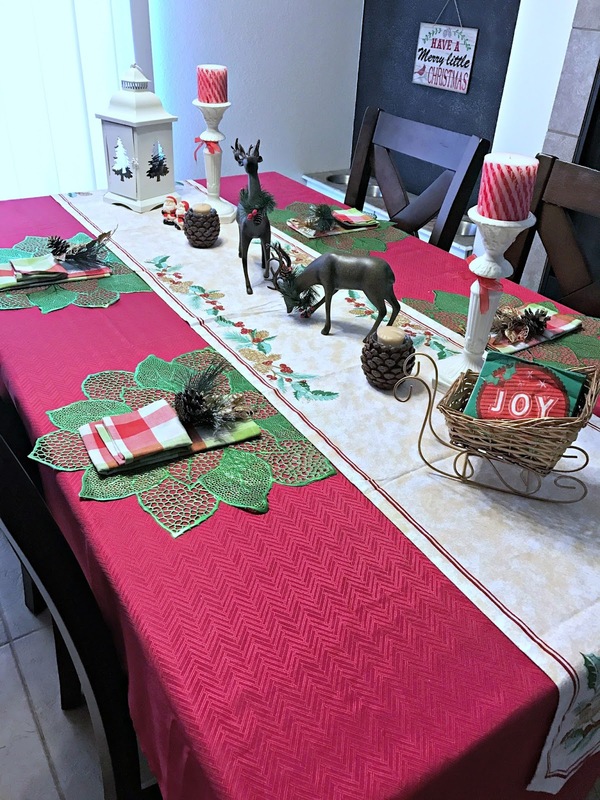 I really fell in love with my Halloween and Thanksgiving tables, so this Oriental Trading Christmas table had a lot to live up to. I made sure to hit up my favorite online decor shop, Oriental Trading and found some great decorative items. 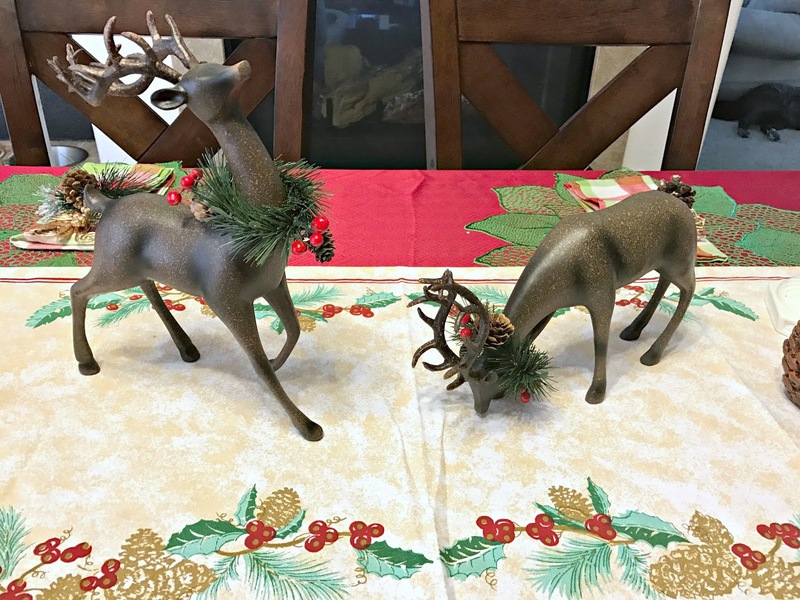 My mom has a set of deer that she always puts out on her Christmas table, so when I saw this set of standing and bowing reindeer, I HAD to have them. These were the only item on my must have Christmas table list. When they arrived they were exactly what I wanted, the perfect size and a great centerpiece to my beautiful table. 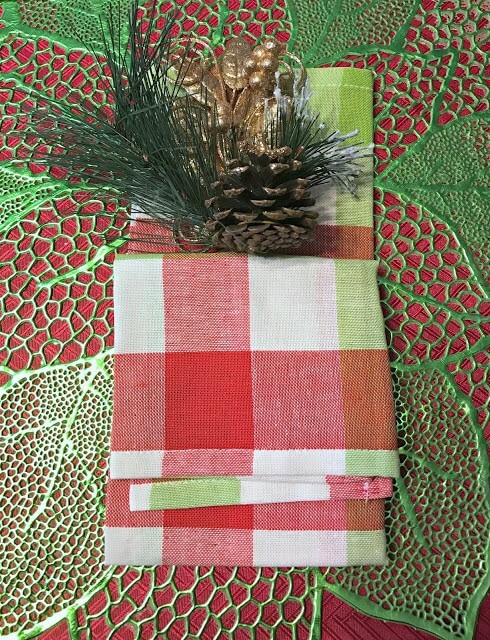 I went back and forth between doing place settings or just a simple napkin set up. 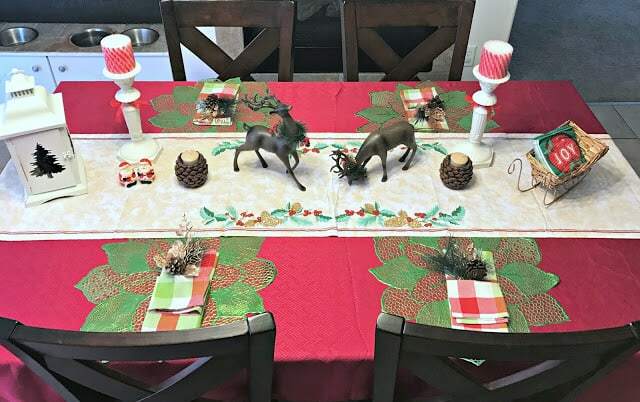 I decided to go with the napkin setting because these metallic poinsettia placemats that I found on amazon were life. The napkins are from the Pioneer Woman line at Walmart and the little decorative floral arrangements are also a Walmart special. 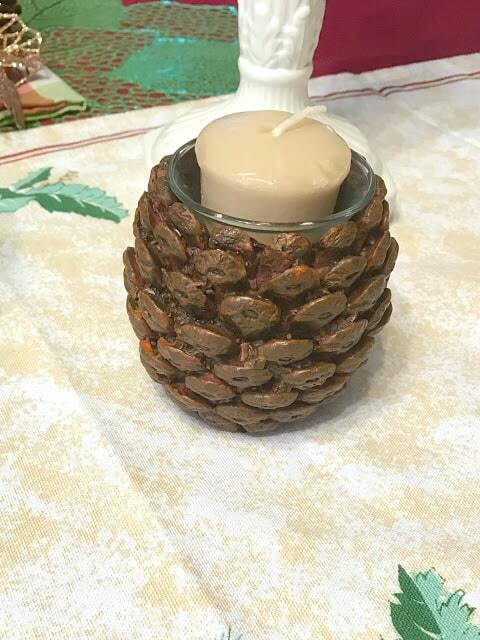 While surfing the Oriental Trading site I came across these pinecone votive holders and I needed them. They are heavy duty and fit a votive candle perfectly. I purchased two of these and really love the luster and look of them. They are about the size of a regular pinecone and they make a great statement on my table. I also ordered this white metal lantern with tree cutouts from Oriental Trading. I have a minor love affair with lanterns. These one are just stunning and a bit rustic. The Santa salt and pepper shakers are a Dollar Tree find and the white candleholders are old from Home Interiors. I found the candy cane candles years ago at a dollar store as well. I am also enamored with the holiday print table runner. It was a great bright contrast to the typical reds and greens of the holiday season. 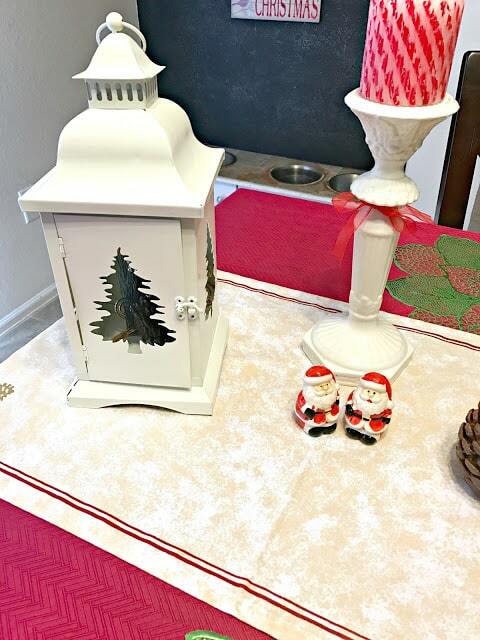 This Christmas table makeover brings warmth and a seasonal happiness into our home and is a huge centerpiece in our lives. So many dinners have already been enjoyed. I love the quality of the Christmas decor options from Oriental Trading and you really cannot beat their prices. 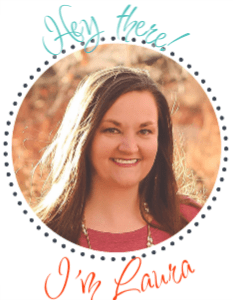 If you are looking for some great stocking stuffers, candy, home decor and even outside decor, you need to take a peek at Oriental Trading’s website and snag those great deals. Interested in other Oriental Trading projects? Check out my Ahoy it’s a Boy Baby Shower!